It’s not wise to leave a key under the doormat, plant pot, or a rock, as these can be found quickly with a metal detector. You may not realise you are being watched when using this spare key and a vigilant burglar will soon notice if a hidden key is being regularly used. A better way to store outdoor keys is by using an outdoor key box. What is an outdoor key box? An outdoor key box is a safe place to store a set of keys outside your home or premises. 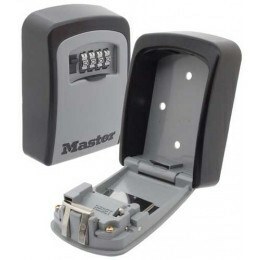 Access to the box is usually through a combination lock, so that only people who know the code can get access to the keys. The box itself should be made from a thick metal that is rust proof, and should look inconspicuous so that only the home owner and those he chooses to tell are aware that the key box is even there. In what circumstances is a key box a good idea? A key box is the ideal solution to finding yourself accidentally locked out of your home, or to allow access for many members of your household without having to have keys cut for all of them. In some circumstances a key safe like this can be useful to enable children to enter the house without having to entrust a set of keys to them that they could potentially lose. No one need carry keys around with them anymore if they use a safe key storage safe, and in case of an emergency it is easy to gain access to the house. This is especially useful for elderly residents or those with disabilities who may like the security of knowing that a loved one can always get into the house to help if they are required in times of sudden illness or accidents. It also provides a way for care staff or other regular visitors to access your home without the home owner needing to answer the front door. For business use, a key box is ideal to allow access to commercial premises for many different people. A key box will be especially useful to someone who rents out a holiday home or apartment, and wishes to grant access to different people at different times. 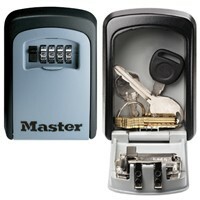 It is a good solution for storing office keys or for remote sites. In the event of a fire at your home, a key box can save firefighters valuable time in gaining access to your home, if you are unable to let them in. This is especially relevant to elderly and disabled citizens who live alone, and may save on damages caused by having to break down doors to get access to someone who requires medical help. What kind of key boxes are available? The types of key safes you can choose from will depend on your budget and on who you want to have access to the keys, as well as how many keys you want to store. Safe Review: Keyguard DIGITAL Outdoor Key Safe – Never get locked out again!